Rapid sterility testing system is an automated solution for the rapid detection, response, and resolution of microbial contamination in filterable samples throughout the manufacturing process. Accurate, rapid sterility testing is not only critical for patient safety it also makes great sense for the compounders and other pharmaceutical manufacturers. Current harmonized compendial sterility test methods for liquid filterable products require at least 14 days of incubation. By using the rapid sterility testing system results are obtained within 5 days. In addition to the faster turnaround time to complete testing, compounding pharmacies benefit by getting more value for their Beyond Use Dating (BUD) limit. The most widely acceptable and well-established principal is adenosine triphosphate (ATP) bioluminescence. 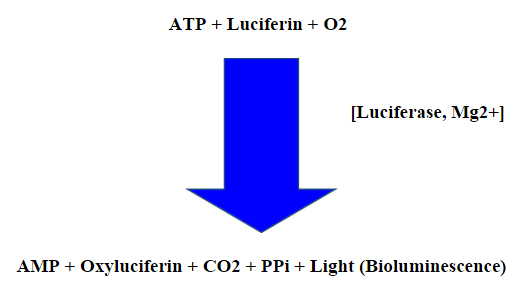 It is based on the luciferin/luciferase bioluminescence reaction. Gibraltar’s Milliflex® Rapid System for rapid sterility testing and rapid bioburden testing is based on the adenosine triphosphate (ATP) bioluminescence. This system is 21 CFR Part 11 compliant. To learn more about Rapid Sterility Testing from Gibraltar Labs, please call us at (973) 227-6882 or submit a contact form by clicking here.